Our eggs have started hatching! So far three silkies and one houdan has hatched. We are live streaming our hatch here. Here are some photos of who's hatched so far! Today just minutes after I turned off the turner and went into "Lockdown" we started hearing peeping. And the eggs all started rolling around. Ten minutes later I come down to see one of the cuckoo silkie eggs has hatched! We re only on day 19! This egg is an early bird! Will be posting frequent updates on hatch later today and the next couple days. 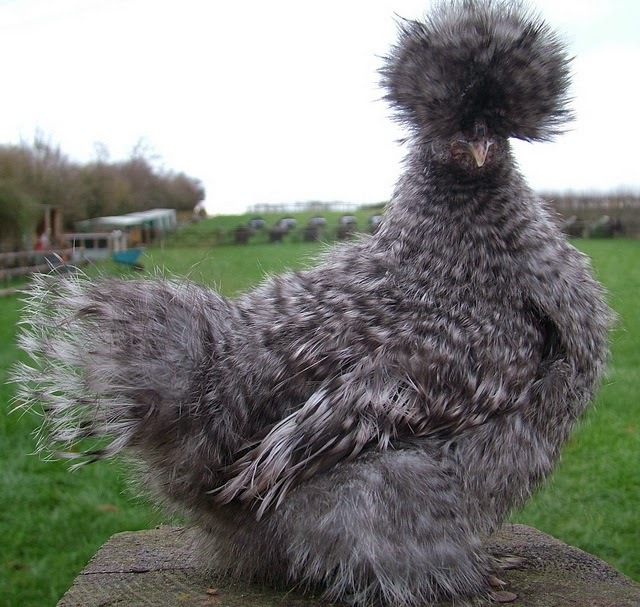 This early bird cuckoo silkie has pipped on day 19! Today the sheep were able to get out in the snow, and they had a blast, as you can tell in the video below! They mostly ran around overly excited because of the snow, but also ate some here and there. Here are some photos from their adventures today. Last night I received the last shipment of eggs. Inside the incubator, there is a total of 28 eggs. There are 8 Cuckoo silkie eggs, 7 Showgirl eggs, and 12 Polish x Houdan eggs. They are set to hatch on January 31, 2014. They are set in our new Octagon 20 Eco. Here's a photo of the eggs all stuffed in the incubator! I will be making frequent updates on our Facebook Page about how they are doing, and will post candling photos here too. 2. Comment on at least three of my blog posts. 3. 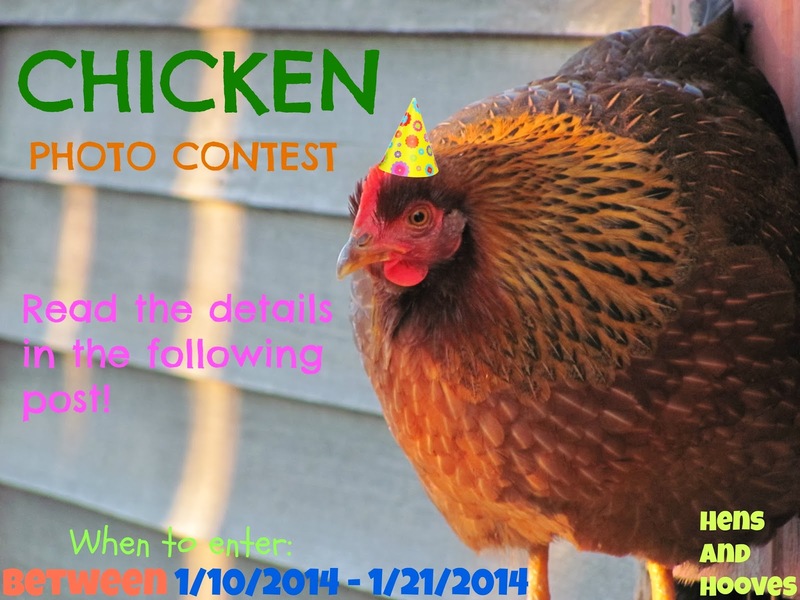 Email up to three photos to contest@hensandhooves.com. If you're viewing this from our blog, there are share buttons on the bottom of the post. This contest will run from 1/10/2014 to 1/21//2014. I will choose the top 5 on 1/21/2014 and then have my blog readers vote on which of the five they like best. Note: Even if you're not entering the contest, we would love it if you could share it anyways. *Only users with Facebook can enter in this contest. First of all, Happy New Year to all our readers! 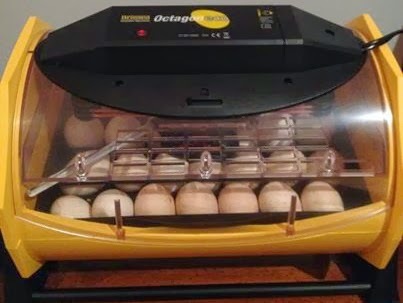 As you read about in my last post, we recently acquired a new incubator, with a capacity of 24 eggs! Yesterday we ordered enough eggs to meet the capacity of this incubator! First, I ordered half a dozen Cuckoo Silkie eggs. Cuckoo Silkies have a barred pattern, and the same you would see on a cuckoo marans hen. Here's a photo I found of a beautiful Cuckoo Silkie. Silkies are very friendly and are good mothers. I also ordered half of a dozen Showgirl Silkie hatching eggs. Showgirls are what you get when you cross a naked neck and a Silkie. They can be any color that a normal Silkie can be, but will produce Silkie offspring, not naked neck. 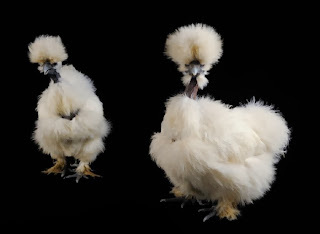 Showgirls have the same disposition of a silkie, and are good mothers. Last, we ordered a dozen assorted Polish hatching eggs! 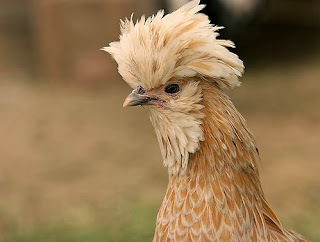 Polish chickens have a large crest, which looks like a crazy hairdo, and come in many colors and patterns. Polish are very friendly and good pets. I will post an update when the eggs arrive, so stay tuned! We hope to expand our flock this year and start breeding Silkies.